Finding the right Iraqi Dinar Exchange Rate is as simple as going to XE.com and doing a search for the Iraqi dinar (IQD) and looking for US Dollar or doing the reverse. If you look to the right of this page you will see a currency exchange chart, you should be able to tell the rate from that screen. Remember that the Iraqi Dinar rate of exchange has pretty much been stable for many years. Don’t expect much change until they can get their act in order. 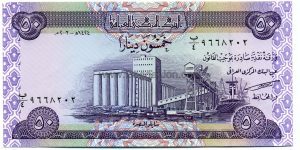 You can check out dinarrvnews.net – Dinar Revaluation News for news about the revaluation. At this point, I am not seeing a revaluation (either up or down) anytime within the next two years. was the :by: dinar a sneaky way for the gov. to pay for the irac war?